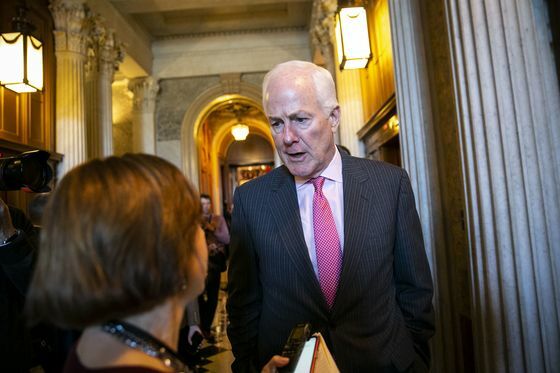 “Coming up with lower emissions is a good thing,” Cornyn said in an interview. That’s forced them to craft a policy response that doesn’t alienate supporters in the fossil-fuel industry or contradict their long-standing emphasis on increasing energy production. Among the ideas under discussion are clean-energy mandates and tax credits that promote the use of alternative power sources as well as spending on new energy technology and electric vehicles -- ideas that were shunned by the party just a few years ago. He proposes spending $6 billion a year on energy research and scoring huge advancements in nuclear power technology, electric vehicles and their batteries, as well as solar power, natural gas and carbon capture. 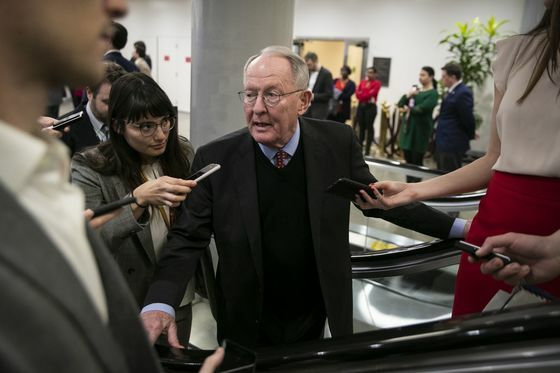 And Alexander, who serves as a senior member of the Senate Appropriations Committee, said he believed “almost all of it” could be achieved through Congress’s regular spending bill process, such as through boosting funding for the Energy Department. “We are moving ahead,” Alexander said in an interview. Other Republicans are exploring mandates that require states to produce a certain percentage of electricity from sources such as renewables and nuclear power. 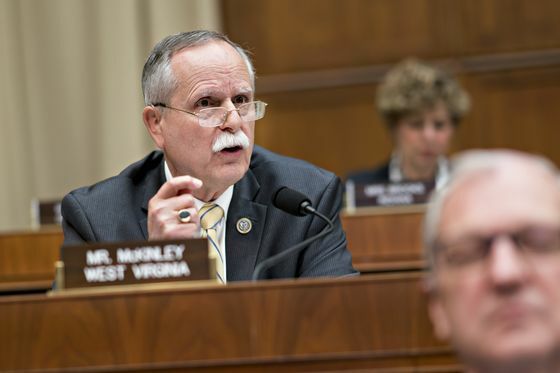 In the case of one so-called clean energy standard being crafted as part of a larger package by West Virginia Representative David McKinley, carbon capture technologies would count as well. Though largely unproven on an industrial scale, carbon capture aims to render coal climate-friendly by intercepting carbon dioxide emissions. Murkowski, who’s long acknowledged climate change, said a clean energy standard is something she might back. “I’m open to a discussion about what that could look like,” she said in an interview. Republicans’ new strategy is buttressed by polling and focus group research showing voters respond well when energy and environmental plans center on innovation. 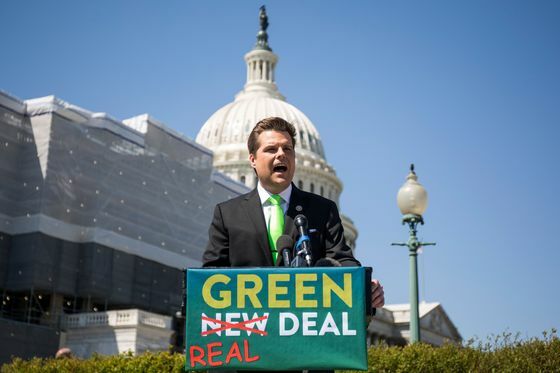 “The debate over the Green New Deal has demonstrated there is a growing appetite to address climate change,” said Christopher Guith, acting president of the Chamber of Commerce’s Global Energy Institute. But what’s needed is a better approach that harnesses “America’s energy advantage and continued environmental progress without threatening economic growth,” he said. The institute released polling results Thursday that Guith said prove the overwhelming majority of Americans support an “energy agenda that drives innovation, lowers emissions and fosters economic growth.” According to a chamber-commissioned telephone survey of 1,000 likely voters nationwide, 73 percent support a “cleaner, stronger” approach to energy that uses more American energy supplies and continues environmental progress. The survey found that nearly 4 out of 5 likely voters -- 79 percent -- agree the best way to address climate change is through investments into innovation and technology. Critics of the Republican climate measures question their sincerity and say they don’t go nearly far enough. It’s not an easy transition for the party that not long ago fired up supporters with chants of “drill, baby drill.” One solution to the conundrum is embracing energy innovation -- a broad term that’s come to encompass increasing research and development that critics have said amounts to a delaying tactic. The innovation bill being crafted by Cornyn looks to spur the development of new technologies to capture carbon emitted when natural gas is used to generate electricity. It’s a climate resolution that calls for reducing carbon dioxide emissions through increased spending on “next generation” low-emission energy technologies including carbon capture, renewables and nuclear power. For New York Republican Representative Tom Reed, the answers lies within a tweak to the tax code. The member of the House tax writing committee said he plans to introduce legislation that would provide new “technology-neutral” tax credits that reward new energy sources and energy storage. Similar to a bill Reed introduced in late 2018, the value of the credits would scale down as an energy source’s share of generating production increases. Senator Thom Tillis, a Republican from North Carolina who as a member of his state legislature helped craft policies that aided the booming solar industry, said he was eyeing a measure that could help advance solar power nationally. One way it might do that is by spurring advancements in energy storage -- a technology capable of supplying grids with solar power, even when the sun isn’t shining. And Utah Republican Senator Mitt Romney said he’s working on a “climate plan” with Senator Lindsey Graham of South Carolina. “We’re looking at all the options,” Romney said. Environmentalists are largely taking a wait-and-see approach to the GOP efforts, awaiting more details and what, if anything Senate Majority Leader Mitch McConnell would bring to the Senate floor for a vote. McConnell, a Republican who hails from the coal-heavy state of Kentucky, said last month he believed humans were causing climate change. “The question is how do you address it,” he said.